Disaster Aid Australia are always happy to help other organisations provide water to their projects. 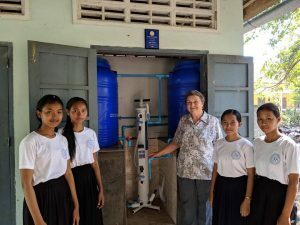 The Rotary Club of Somerset in Tasmania support a school in Kampot, Cambodia. As part of their assistance to their school it was decided that a SkyHydrant to supply Safe Drinking Water was a high priority. We were able to supply them with a SkyHydrant and advice that enabled them to complete the installation. The SkyHydrant will mean the School can now provide 10,000 litres of water/day to the pupils. 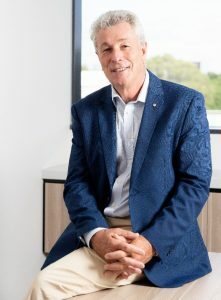 Rhett Butler has been recognised by Sydney University with an Alumni Award for Service to Humanity. To date over 6,000 SkyHydrants have been installed to provide safe drinking water for communities and schools. 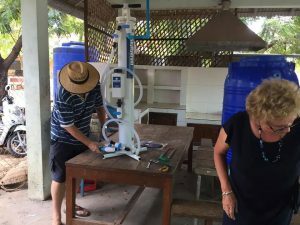 With the low cost, light weight, simple operation, and effective removal of contamination; the units have become an important part of Disaster Aid Australia’s ‘Smart Aid‘ and ‘Safe Water for Every Child‘ initiatives. Each SkyHydrant is capable of providing safe water for more than 500 people which means that millions of people around the world are being protected by Rhett’s invention. Bhutan, on the Eastern edge of the Himalaya Mountains, is known for its monasteries, fortresses (known as dzongs) and dramatic landscapes. The photograph shows the iconic Paro Taktsang (Tiger’s Nest) monastery which clings to a cliff above the forested Paro Valley. The Buddhist Kingdom measures its development progress by surveys of Gross National Happiness rather than Gross Domestic Product. Disaster Aid Australia in conjunction with the Rotary Club of Thimphu have identified that providing safe drinking water to all the 120 central schools in Bhutan will bring major improvement to child health for the whole country. The target is to provide a SkyHydrant Water Filter to each school by the end of 2020. Currently 31 Skyhydrants have been delivered with the completion of those installations scheduled for the end of April 2019. To raise funds for the project Disaster Aid Australia are promoting fully inclusive holidays in Bhutan from $6,450 per person (twin share). Included in the cost is a $5,000 donation per couple which will provide a school with Safe Water. During your trip you will be able to personally present ‘your’ SkyHydrant to a school. On your return you will receive a tax receipt for your $5,000 donation with the potential to receive a tax refund of up to $2,250. To find out more about this exciting opportunity go to our : VISIT BHUTAN page. Tropical Cyclone Idai was the worst tropical cyclones for 120 years in the Southern Hemisphere. Catastrophic damage occurred in Mozambique, Zimbabwe, and Malawi, leaving more than 1,000 people dead and thousands more missing. Drinking water is a major concern with muddy rivers being the only source of water for millions. Disaster Aid Australia is responding with Rotary District 9350 of Southern Africa to this disaster by providing SkyHydrants. Two of our Disaster Aid Response Team (DARTs) are flying out with the Skyhydrants. Our ‘Chair’ Peter Faulkner is seen loading two skyhydrants and 50 Sawyer Filters as our initial contribution. We are hopeful that further contributions from our supporters and District 9350 will enable us to provide safe water to thousands more. Intense Tropical Cyclone Idai in March was one of the worst tropical cyclones on record to affect Africa. An initial assessment in Southern Africa by one of our trained volunteers confirms that the amount of aid required to respond to will be enormous. We are in touch with Rotary contacts in Zimbabwe and South Africa and will be working in partnership with them as the situation resolves and manageable projects are identified. 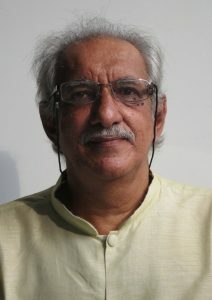 Dr Singh is the founder of AHHA Education which has educated over 200,000 students since its foundation in 2000. An entrepreneurial humanitarian, he has dedicated his life to encouraging, training and helping poor youths in poor communities to achieve much more in life. For over 29 years, Dr. Madenjit Singh has researched and tested new and innovative ways to teach underprivileged communities. The Cost of Safe Water? A typical Disaster Aid Australia SkyHydrant installation costs $5,000. That includes tanks and pipes that we purchase locally. Once installed the unit will provide bacteria free water for ten years for up a community of up to 700 people. $5,000 / 10 years / 700people = $0.71 / person per year. A $5,000 skyhydrant Installation to serve a school can keep over 1,000 pupils safe. That is a cost of less than $0.50 / pupil / year. 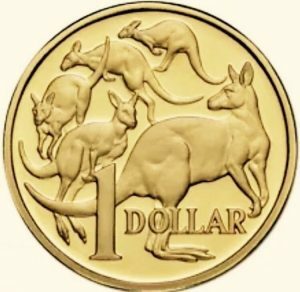 World of Difference is an Australia organisation associated with the Rotary Club of Chadstone – East Malvern. They have been providing overseas aid to villages in Cambodia working with ‘Build Your Future Today’ Which is a Non Goverment Organisation in the Siem Reap area of Cambodia. Following a meeting with Disaster Aid Australia Volunteers they decided to try a SkyHydrant Installation in late 2018 for the village of La’ak. La’ak is a remote village of approximately 200 houses with no electricity and no reticulated water supply. Since La’ak is a rural area with no waste-water treatment facilities the groundwater is prone to contamination and water borne diseases are common. On arrival at the school in La’ak the scope of work was discussed with the village chief and school officials and details such as the location of the filter house, wash station, etc were agreed. 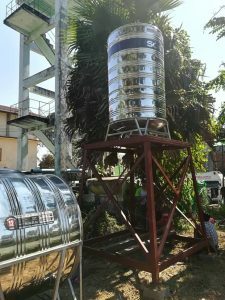 An original 1600 L concrete tank which was not previously used is now used to store filtered water with a float valve installed to automatically regulate level in this tank. Pipes and fittings were purchased locally and a local bricklayer engaged to build the Skyhydrant shelter. At the conclusion of the project the treated water was tested and confirmed as free from bacteriological contamination.